Through a unique cold-brewing process, Bizzy Organic Cold Brew Double Shot is crafted to be strong using the best quality Arabica coffee beans from Central and South America. Bizzy Organic Cold Brew Double Shot is organic and ethically sourced - giving customers the highest quality, healthiest, and most convenient product on the market. Bizzy Organic Cold Brew Double Shot contains only water, coffee, and in some cases, natural flavoring. There are no additives, fillers, sweeteners, preservatives, or dairy. Packaged in a 2oz., resealable, and BPA-free PET plastic bottle, Bizzy Organic Cold Brew Double Shot can go anywhere your busy life takes you. 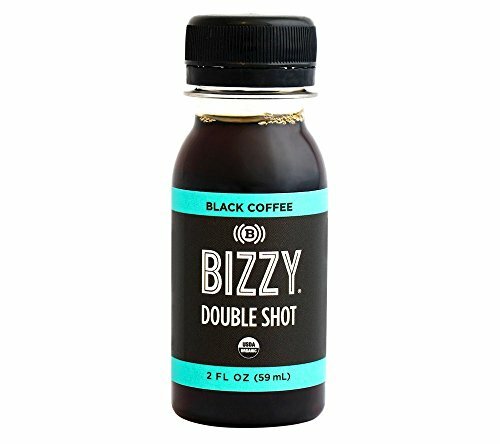 Bizzy Organic Cold Brew Double Shot was developed for Busy People, by Busy People. It's healthy, natural energy when you need it - be it at work, the gym, your regular workouts, or wherever a shot of natural energy will come in handy. NO ADDITIVES - Nothing but coffee and natural flavoring, no sweeteners, preservatives or additives! ULTIMATE CONVENIENCE - Comes in reusable, resealable, BPA FREE plastic PET bottle; fits your pocket; ideal gift idea! If you have any questions about this product by Bizzy, contact us by completing and submitting the form below. If you are looking for a specif part number, please include it with your message.